Just in time for Halloween and The Walking Dead‘s new season, @zingazooo brings us to the dark side with his zombie renditions of artists like Eminem, Meek Mill, Riff Raff and a half-man-half-bear Kanye West. 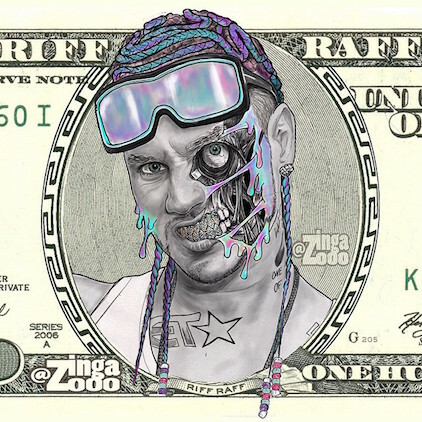 Aside from his creepy-cool art, the NY artist also has designed cover art for rapper King Los. Check out his detailed creations below.